Bigfoot Arts Education is currently recruiting for freelance art facilitators to join its ever increasing pool of arts professionals. 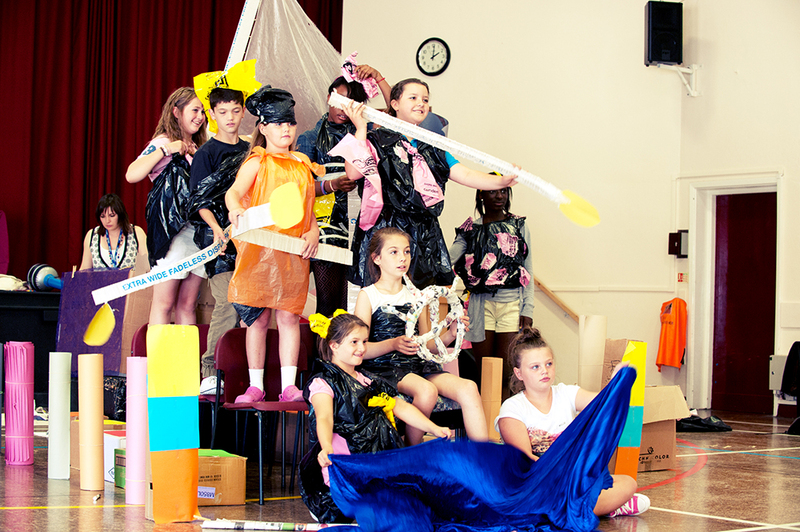 If you have experience of planning and delivering creative art activities as part of the National Art Curriculum in primary schools, have excellent behaviour management skills and a great rapport with children we would love to hear from you! Bigfoot Facilitators deliver a wide range of creative, fun and engaging educational workshops throughout London and The Home Counties. Bigfoot is looking for facilitators who are interested in regular weekly work and are able to teach a class of 30 independently. Successful applicants will be required to attend a recruitment day on the 19th of November. If selected to be part of the company then applicants will be required to attend a three day induction course from the 14th– 16th of December. Bigfoot takes a fully refundable £54 deposit at the start of the induction course. (This is returned after the completion of a booking) Bigfoot pay facilitators £130 for a full day booking. To request the application pack or for further information please contact Kate Hill on intern@bigfoortartseducation.co.uk. Successful candidates will be offered freelance contracts which are conditional upon the candidate being in possession of a current CRB check and the taking up of references.